Rare is the couple that proceeds down the path of adoption without one of them experiencing fears and doubts at some point. "The what ifs' can really get to you, said John, a new adoptive father to a perky little Korean toddler, who sheepishly recounted his own ambivalence and hesitancy in moving forward with the process of international adoption. Although research and statistics are lacking, adoption professionals and marriage counselors know many couples deal with a rocky road at points as they not only arrive at the decision to adopt but also actually proceed through the process of adopting. Whether planned or unplanned, pregnancy is a fait accompli providing nine months to adjust to the idea of parenthood. For many couples who faced years of infertility and unsuccessful treatments, the consideration to adopt may have already been brought up, discussed, and decided before, but the reality of all the new decisions and processes that must be undertaken becomes a whole new source of anxiety as well as anger and sadness. In other situations, one partner may feel passionately about adoption as a means to parenthood or expanding their family and the other has serious reservations and is reluctant to proceed. Underlying the vast majority of what ifs' for the hesitant adoptive spouse is perceived loss and fear. A spouse's initial reaction need not necessarily be the final word. The reservations and concerns reflect the hesitant spouse's awareness of the impact a child will have on their own: financial situation, attention from the spouse, career, and available work time. Some spouses are also anxious about what it will be like to not share a biological tie with the adopted child. Certainly too lovingly parent and nurture a child with unresolved pain and grief is complicated, if even possible. Therefore if at all feasible, confronting and resolving uncertainties, ambivalence, and concerns prior to adoption is best for the couple, hesitant partner and the adopted child. However, when a subject is emotionally charged, people often say things they don't really mean. Recognizing spouses often need time and space to consider issues as they arise and individuals approach change at different speeds can go a long way in assisting a loving yet initially resistant spouse. As with parenthood via pregnancy, there are many benefits to parenthood that are not foreseeable or knowable until actually experienced. Unlike the couple facing pregnancy, the adopting couple also faces additional issues unique to adoption. Even if appearing to be resolved after repeated discussions, the issues of fear and loss may appear in new form time and time again. Although appearing to achieve a joint decision, the ambivalent spouse also has the opportunity and is able to back out of the adoption decision at countless different times along the journey. 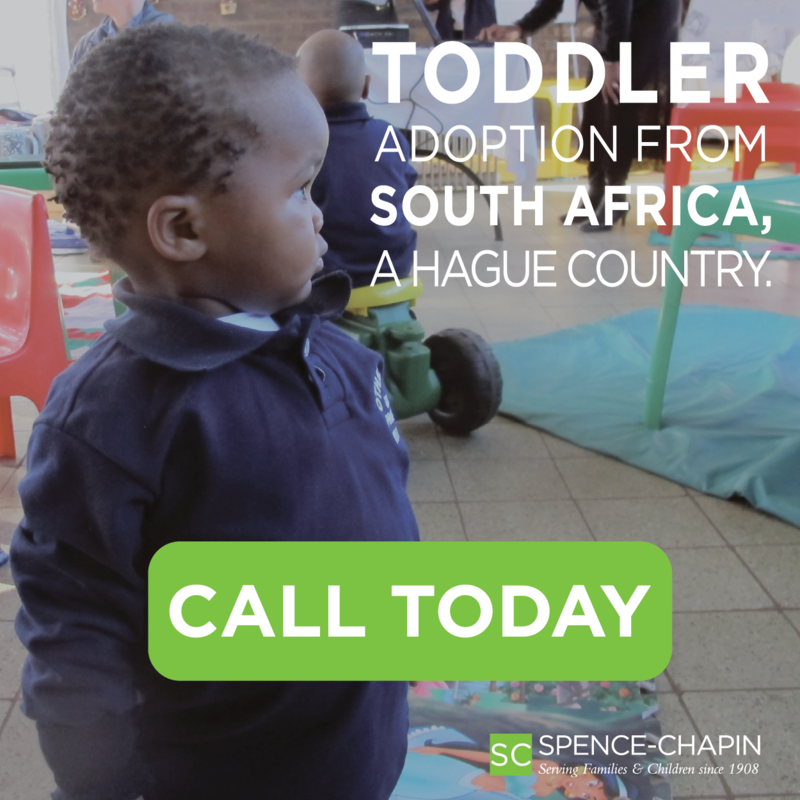 Unfortunately, the hesitant spouse and adoptive couple often needlessly struggle in isolation without reaching out for professional help or assistance from other adoptive families who have gone through the process. A marriage counselor can be beneficial in bringing feelings and their root causes to the surface; thus assisting the couple in determining whether the conflict represents deeper more serious issues or whether the spouse or couple is dealing with normal jitters and need encouragement. Emotional support, empathy, and perspective from those who have successfully worked through the many issues unique to adoption are also invaluable and can greatly enhance the reluctant spouse's confidence and ability to handle their own personal reservations. Would I be hesitant to adopt again? asked John, yes, I think I would. I feel like we got the perfect child the first time around. Now my fears center around rocking-the-boat, and whether or not I could possibly love another child as much as I do our daughter. Even though assistance from the confident spouse for the reluctant spouse may be difficult for both partners, addressing the insistent doubts and what ifs' together gives adoptive couples thorough preparation for the many challenges of parenting. The drawback is every new hesitation and issue risks stirring up or escalating a reluctant spouse's resistance. Discussions need to balance as much as possible between the reasons for wanting to adopt as well as the spouse's resistance to adoption and his/her reasons. In both the long and short run, it is truly far better to openly discuss the differences between the couple than to persist in attempting to cover them up or smooth them over. Through understanding and acknowledgement of the feelings of each partner, the couple can work together to resolve the issues. Listening with interest and not judgment to find the truth behind the doubts, ambivalence and fear and responding in a loving and caring fashion may actually strengthen the marital relationship. The couple's future children will be blessed by their ability to focus on them and their needs as children, not on their own unresolved issues as a couple or individual.